This statistic displays the percentage of adults in the U.S. who knew a lot about hospice care, as of 2016. 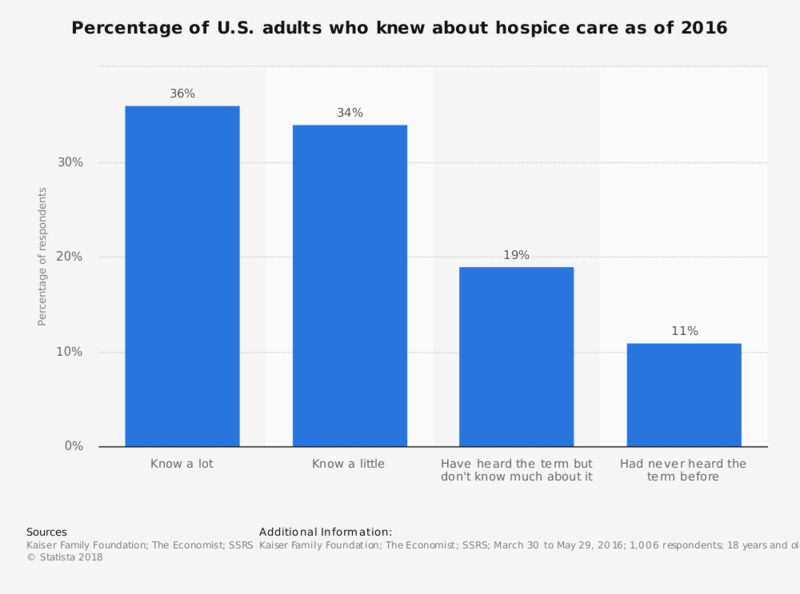 It was found that 36 percent of respondents reported knowing a lot about hospice care, while 11 percent had never heard the term before. Original question: "How much would you say you know about hospice care?"